Mexican Tile "Terra Cotta Aztec Sun"
Mexican tiles in "Terra Cotta Aztec Sun" style. Antique with terra cotta, yellow and cobalt talavera tile design over white background. Shipping from Mexico to the US and Canada is estimated for four weeks. 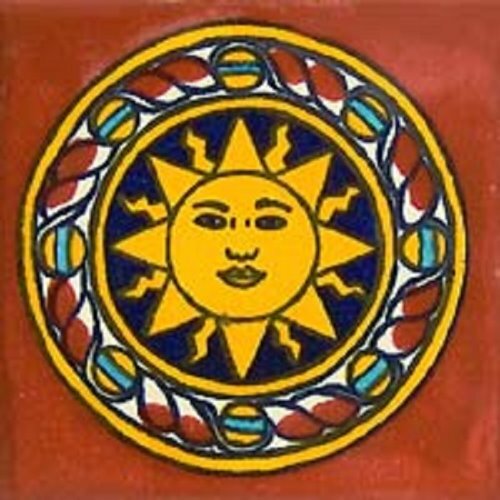 Mexican Tile "Green Aztec Sun"